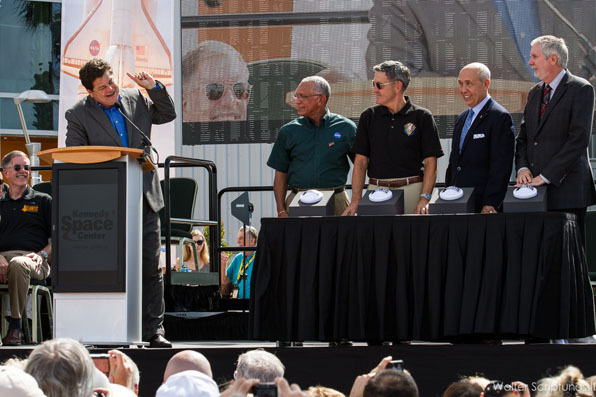 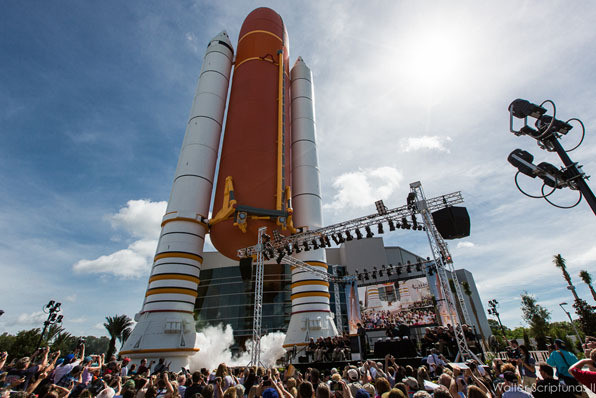 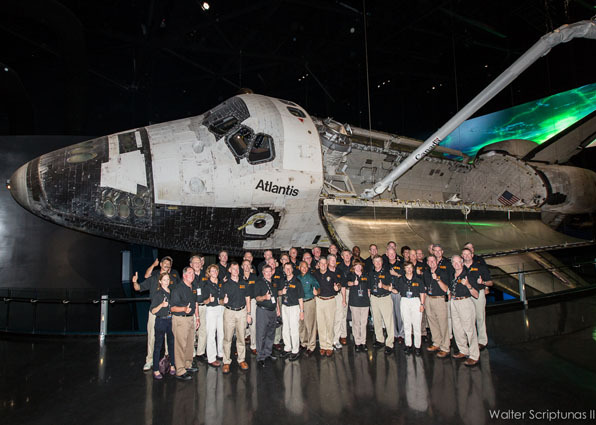 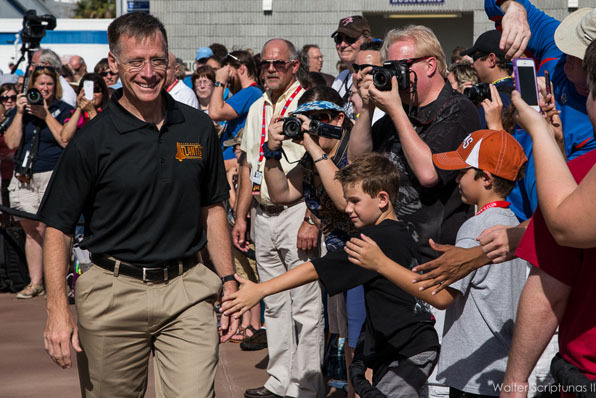 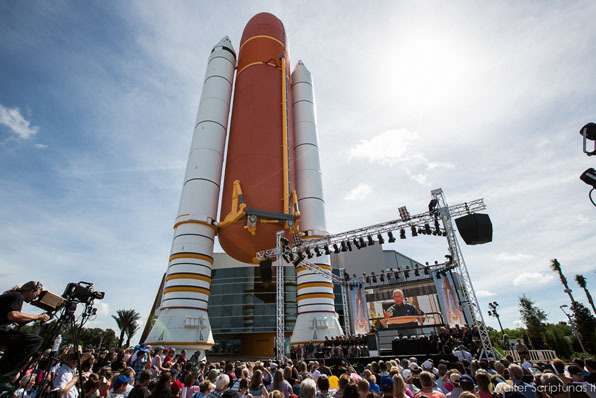 With more than 40 astronauts in attendance, including at least one member of every Atlantis flight crew, the space shuttle attraction launched at the Kennedy Space Center Visitor Complex on Saturday morning. 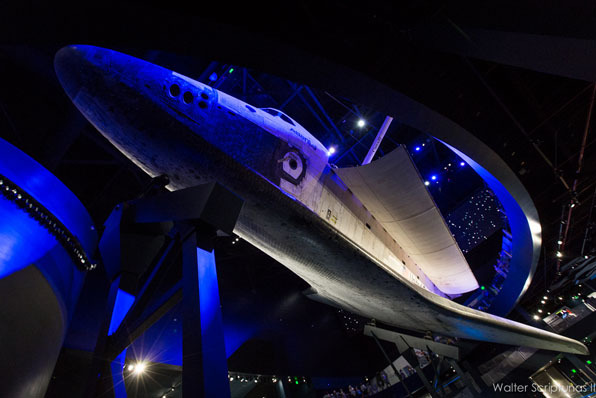 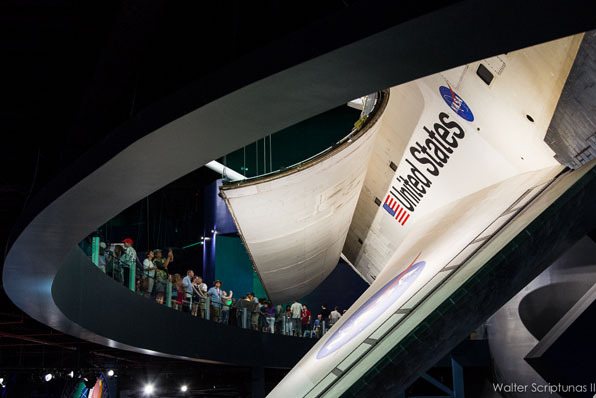 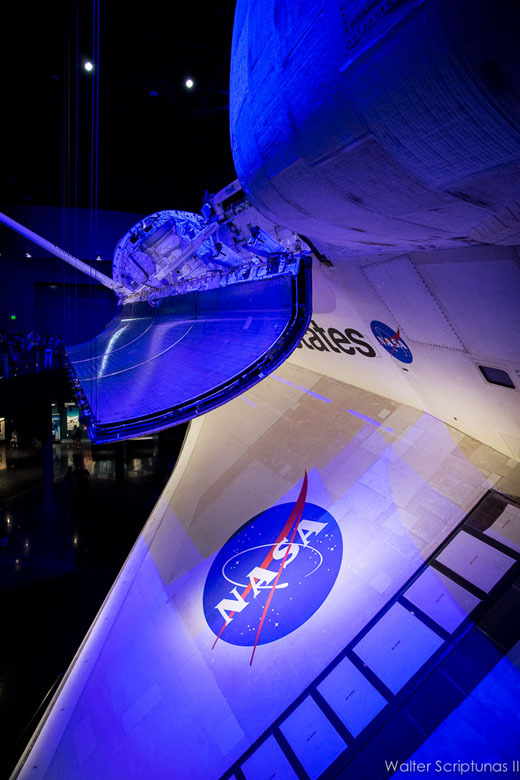 Atlantis is displayed on pedestals in a 90,000-square-foot facility, angled at 43.21 degrees, payload bay doors opened, robotic arm extended to mimic her days flying in space. 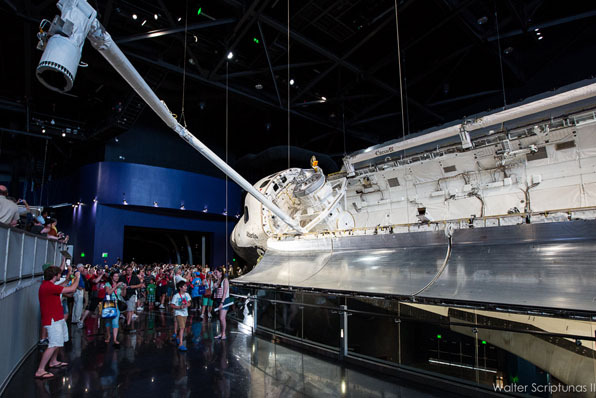 It provides a 360-degree view of the spacecraft for visiting tourists. 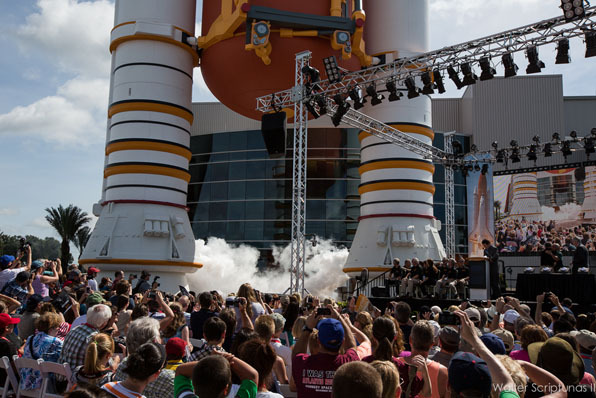 The $100 million showcase also includes a life-sized external fuel tank and solid rocket booster stack at the building's entrance, plus an International Space Station tribute area, a full-scale Hubble Space Telescope model, tires used on Atlantis' final landing, the gaseous oxygen vent hood -- or "beanie cap" -- from pad 39B, the Astrovan and a memorial wall. 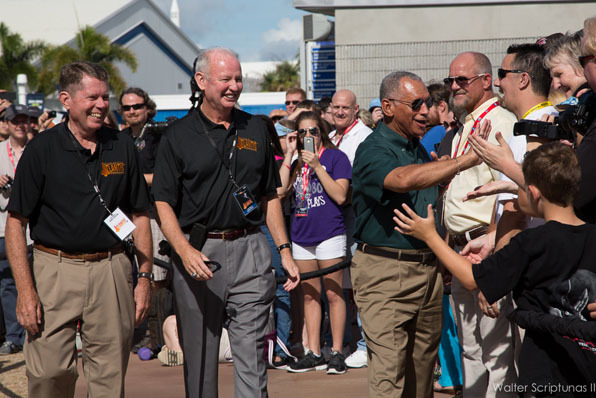 Here is a photo gallery from the grand opening. 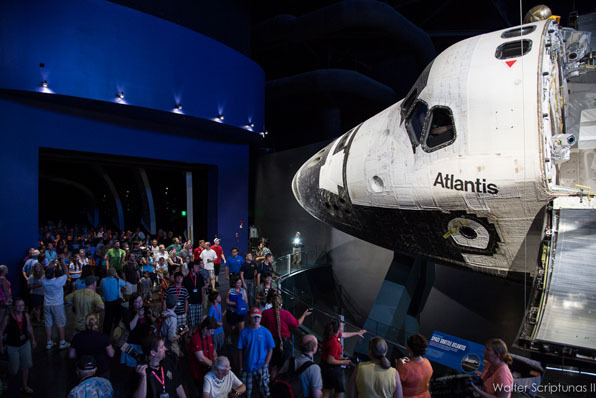 See our coverage of Atlantis' retirement.